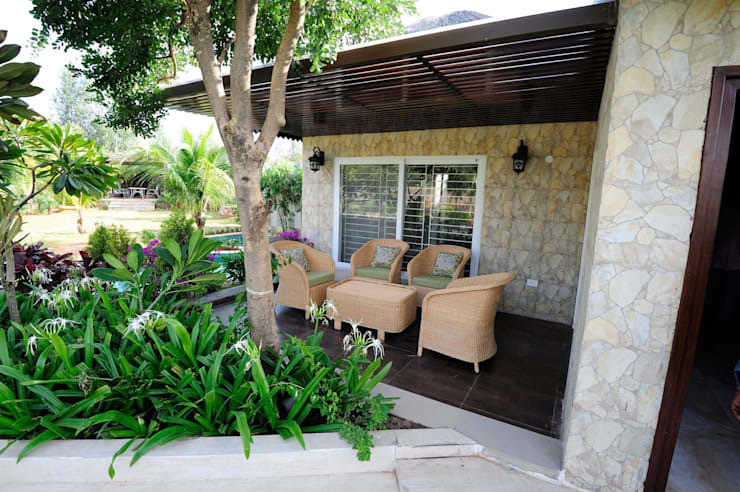 We all love our outdoor spaces, but the reality is that sometimes, they get a bit too warm. Luckily, the solution is as easy as it is stylish… a nice pergola! Enjoying a pleasant afternoon outdoors with good company and comfort is something that many people enjoy, especially in the warm South African climate. One way you can really make the most of this space is to have a gorgeous pergola in the back garden. 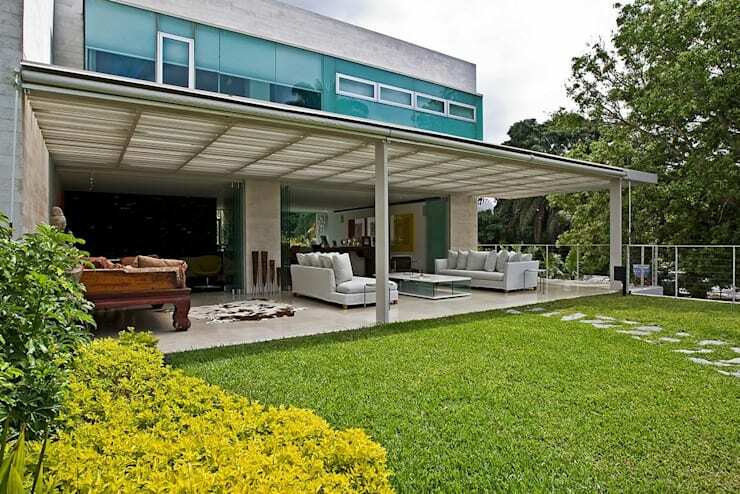 Pergolas are structures formed by columns, which support a roof that provides shade. Its design is usually characterised by a cover with hollow elements, which provide a great sense of natural lighting. This can be made of beams, pads, wood or even covered with plants. 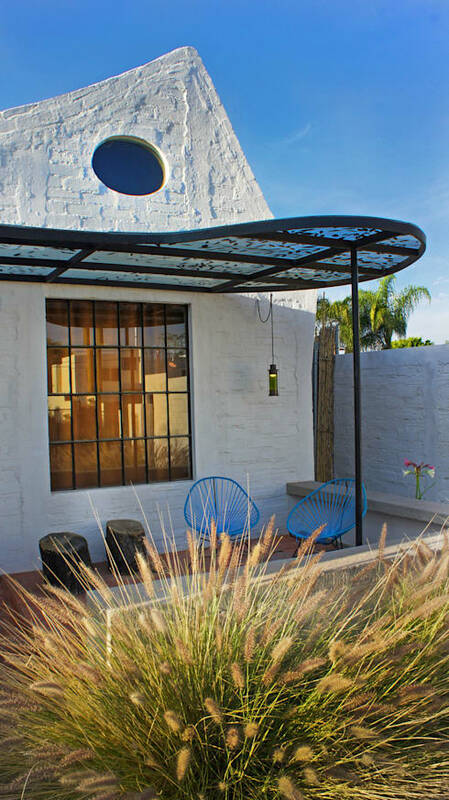 To help you to choose the best pergola for your home and to bring a fresh look and feel to this space, we have put together 10 pergolas that will inspire you and give you an abundance of creative ideas. Are you ready to have the best garden on the block? 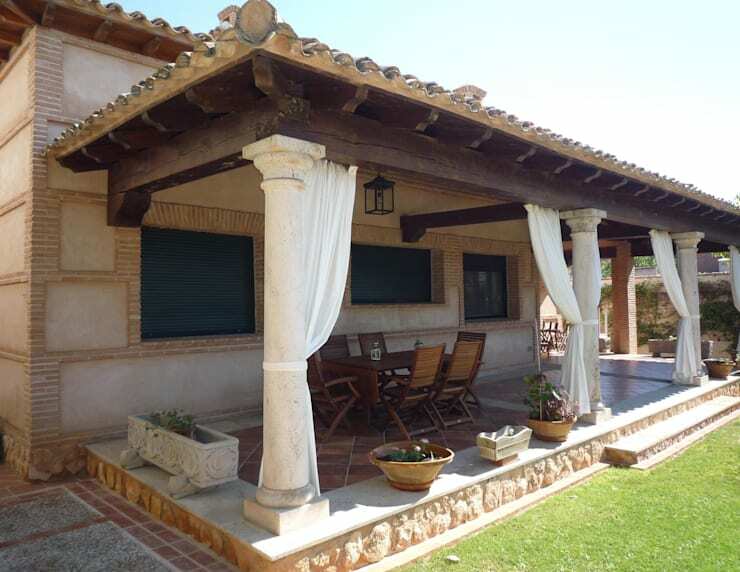 Traditional pergolas come with pillars or walls to support the roof. In this sense, this is the preferred design for many people as it is incredibly modern. In this design, however, we can see that the metal structure is fixed to the walls. 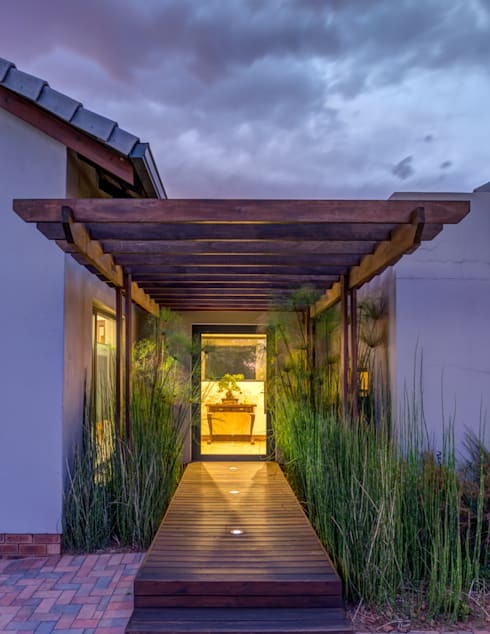 The advantages of pergolas built with this type of material is that it is resistant to climate fluctuations, which makes it perfect for the South African climate. Pergolas can be used as an extension of the roof. In this way, they are placed on a different level, gently sloping out from the main building, as we can see in this image. This design ensures that rain or water drains easily. This design also clearly shows how pergolas are designed to complement the main architectural design, offering more aesthetic finishes. This is a great example of it, showing how the dark brown wood and the glass cover enhances the beautiful and traditional facade. 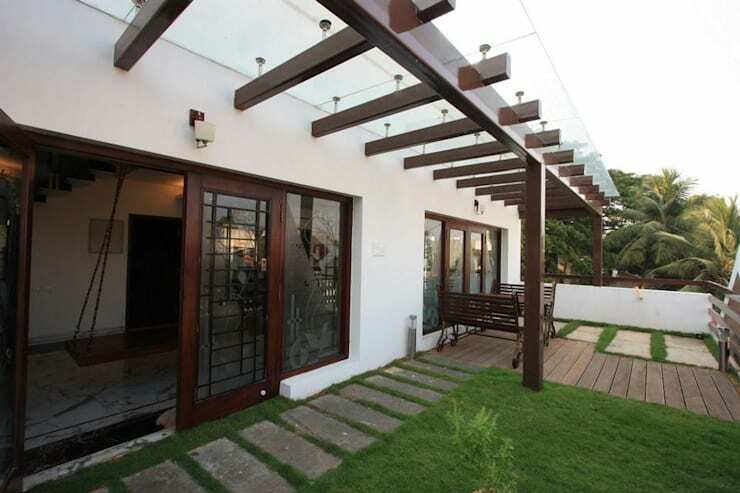 In this project, the pergola is utilised as part of the main entrance reception, bringing elegance to the space. The darker coloured tones contrasts with the white facade, creating a simply amazing and very welcoming entrance. In this project, the natural setting around the house was very well utilised. With a large terrace that spans out from the interior of the home and the pergola with a glass cover, natural light and gorgeous plants create the ultimate setting for relaxation. 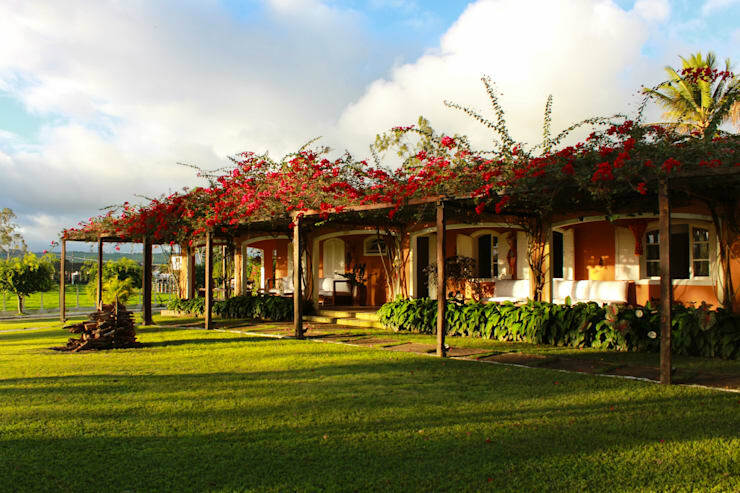 You'll notice that most pergolas are built with the natural tone of wood or with a darker lacquer finish. However, in this design by professionals ODA, we can see how painting the structure in light colours can lead to a very welcoming and elegant design. When we talk about wood, it brings up a sense of beauty and elegance with a rustic style in mind. To create a wonderful and earthy rustic space, combine wooden floors with a beautiful wooden pergola, like we see in this image. This complements the space and works in harmony with a gorgeous garden. Don't you think this makes for the perfect entrance for guests? Your pergola covering doesn't necessarily have to be made from glass or other transparent material. In this project, we can see how a cover has been made with flowers, bringing a very romantic visual effect to this beautiful home. If you wish to give a classic touch to your home, there is nothing better than relying on Greek-style columns. In this image, we can see how this concept has been very well complemented by the presence of light curtains, which provide shade to this space. The attention to detail finishes this project off flawlessly. As we've seen throughout this ideabook, pergolas really offer a sense of a welcoming and warm home while complementing the main facade of the house. 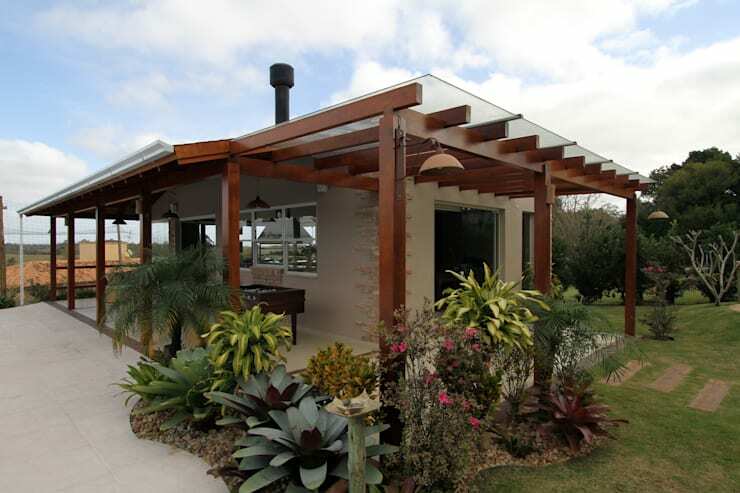 In this image, we can see how the pergola has strengthened the country-style design of the home. 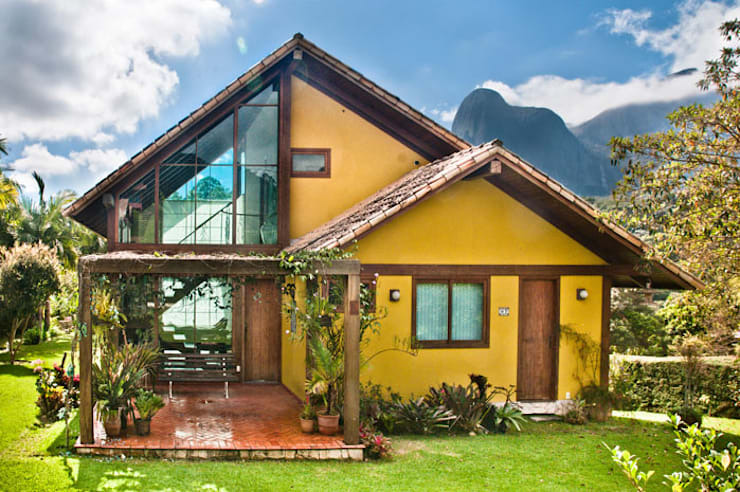 The bamboo covering and the climbing plants are the cherry on top! Lastly, we bring you this beautiful design with curved lines that add a modern touch to the beautiful, stone home. 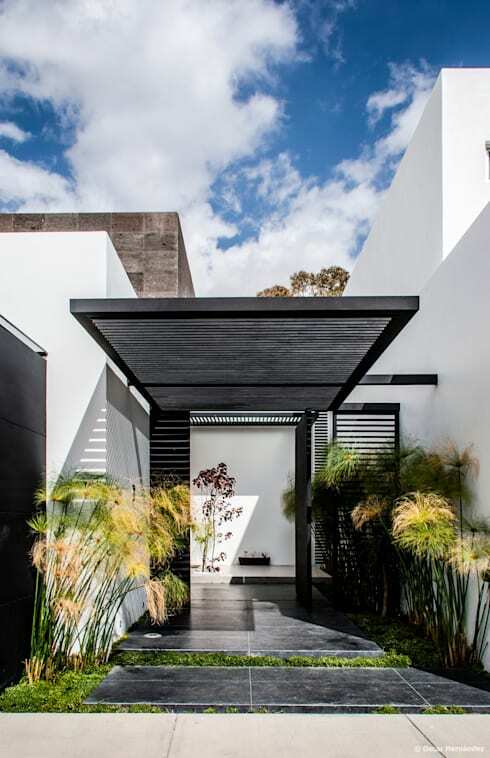 The black and white contrasting tones bring a sophisticated and elegant look and feel to the exterior space. Also have a look at this: Step-by-step guide to building a pergola. Would you choose a pergola for your back garden?